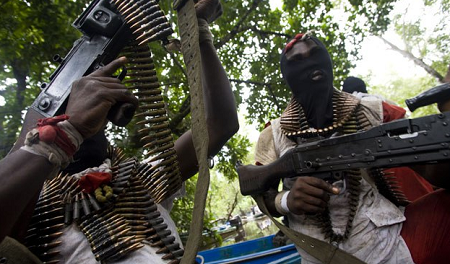 A magistrate with Kogi State judiciary, Sam Nwuchola, has been abducted by unknown gunmen. He was said to have been abducted along Itobe – Ajaokuta Road on Thursday. A source in the state judiciary told journalists on Friday in Lokoja, the state capital, that the kidnappers had contacted the wife of the kidnapped magistrate and demanded N100m ransom. According to an eyewitness, while abducting the magistrate, the kidnappers also shot at a man who sat beside him in the car. The bullet was said to have shattered the victim’s cheek bones while his left eye was grazed by the bullet. Reports said on Friday that the victim was still receiving treatment at a hospital in the state. Punch correspondent gathered that pleas by Nwuchola’s wife that her husband be released had failed as the kidnappers refused to yield to her request, instead, they hung up on her. When contacted, the state Commissioner of Police, Mr. Ali Janga, said the police was still investigating the matter.